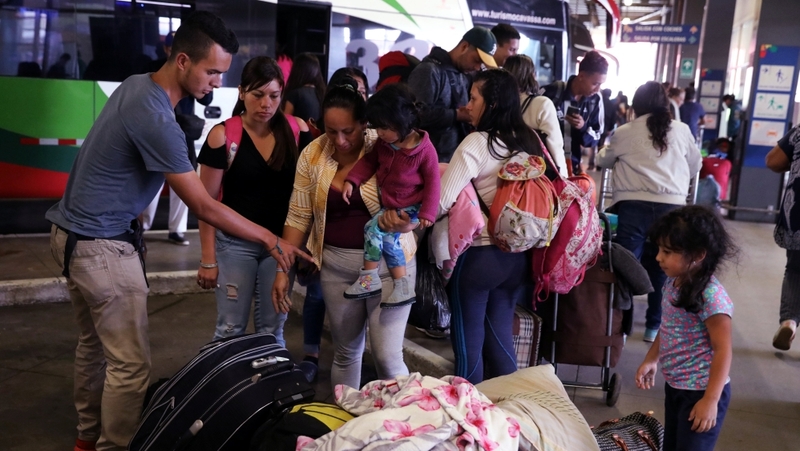 The United Nations has urged South American countries to easy entry for thousands of people fleeing Venezuela’s deepening economic and political crisis. The call on Thursday came after Ecuador and Peru announced tighter entry requirements for Venezuelans. “We recognise the growing challenges associated with the large scale arrival of Venezuelans,” UN refugee agency chief Filippo Grandi said in a statement issued jointly with the International Organization for Migration. “It remains critical that any new measures continue to allow those in need of international protection to access safety and seek asylum,” Grandi added. Led by President Nicolas Maduro, Venezuela has been struggling with hyperinflation, economic recession and shortages of essential goods, including food and medicine, as well as a political crisis that has left much of the country polarised. According to the UN, 1.6 million Venezuelans have fled the country since 2015, 90 percent of whom went to countries within South America. This week, Ecuador and Peru said that those without valid passports would be denied entry, in a move affecting hundreds of thousands of Venezuelans who were previously allowed to cross the border with paper ID cards instead. 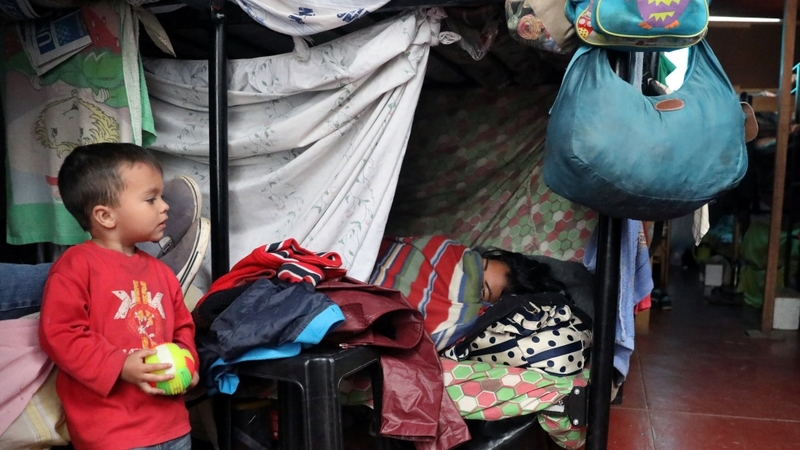 Ecuador, which recently declared a state of emergency in three northern states, also called for a regional summit to discuss the mass exodus, which has seen up to 4,200 Venezuelans arriving to the country on a daily basis. “It is the moment to exchange opinions, to see what different countries are doing in different aspects,” Santiago Chavez, Ecuador’s vice minister for human mobility, said in a statement on Wednesday. Al Jazeera’s Mariana Sanchez, reporting from the Ecuador-Peru border, said that “there is a lot of anxiety among all of these Venezuelans who are trying to get into Peru” before a Saturday deadline where they will be required to have a passport to cross the border. “There is a lot of expectation that there will be a lot of people coming here in the next few days,” she added. For its part, Colombia on Wednesday said it wanted a special UN envoy and a “multilateral emergency fund” to help manage the mass exodus. More than a million people have entered Colombia in the past 16 months alone. Colombia has granted 800,000 of them temporary residence, but many want to travel onwards to Peru, Chile or even Argentina, which taken in more than 30,000 Venezuelans under a law that allows foreign nationals to remain in the country “when there are exceptional reasons of a humanitarian nature”. “What is happening in Venezuela is of such gravity that it looks as though we were going through a terrible war like Syria – except there is no war,” Trino Marquez, a sociologist in Venezuela’s capital, Caracas, told Al Jazeera. “And there is the expectation that things will get even worse,” Marquez added. Many Latin American governments initially welcomed the migrants with open arms, remembering Venezuela’s role in welcoming those fleeing dictatorships and conflicts in the past. Earlier this week, residents in a northern Brazilian town drove hundreds of Venezuelans back over the border. “There have been days of tension at the border between Brazil and Venezuela, especially at the town of Pacaraima where a shelter where Venezuelans were living was attacked and set on fire, with a group of Brazilians pushing about 1,000 Venezuelans to the Venezuelan side of the border,” said Al Jazeera’s Teresa Bo, reporting from Boa Vista, the capital of the northern state of Roraima. She added that those who had managed to come back were living in shelters. “I cannot go back to my country, we cannot survive there,” Ricardo Rondon, a Venezuelan in Pacaraima, told Al Jazeera. Maduro, who says that he is the victim of a US-led “economic war” designed to sabotage his administration through sanctions, said that using the petro will abolish the “tyranny” of the dollar and lead to an economic rebirth in Venezuela, an OPEC member state home to the world’s biggest crude oil reserves. But many fear the measures could severe the situation. “There is complete confusion and paralysis since these new reforms came into place,” said Al Jazeera’s Lucia Newman reported from Caracas. “There is little confidence that this new measure are going to make things better … and people believe that the only way out of this crisis is going out of this country,” Newman added. Many people have been unable to obtain passports, partly because .but for most in a country average monthly wage is about $1 a day, buying the official document is simply not an option. But for many this is not a realistic option. The country has all but stopped issuing passports due to ink and paper shortages, but also due to bureaucratic problems. Those who can afford it, have paid fees and brides upwards of $2,000 to get a new passport. “I need to leave but how? There is no way to get a passport unless you pay $2,000 under the table, which I don’t have,” a Venezuelan citizen told Al Jazeera. Venezuela’s gross domestic product (GDP) has dropped by about 45 percent since Maduro took office in April 2013, according to the International Monetary Fund. “There is no work, I can not support my family or buy milk or diapers for my baby, so I have no choice, but to leave,” Alejandro Blanco, another Caracas resident, told Al Jazeera.